BETHLEHEM, PA—The Improvised Shakespeare Company and Hunter Nelson and Terry Withers’ “David Mamet’s ‘The New David Mamet Play’” headline the 4th annual SteelStacks Improv Comedy Festival Jan. 20-21 at the ArtsQuest Center at SteelStacks, 101 Founders Way, Bethlehem. The festival will also feature an improvised action movie, puppets and a live comic book creation, as well as 50 other improv comedy groups from across the U.S. and Canada doing short- and long-form improv comedy. Hours are 6 p.m.-12 a.m. Friday and 11:30 a.m.-2 a.m. Saturday. On Jan. 21, 9 p.m., the critically acclaimed Improvised Shakespeare Company takes the stage. Based on one audience suggestion (a title for a play that has yet to be written), this group creates a fully improvised Shakespearean masterpiece right before your eyes. Each of the players has brushed up on his “thee’s” and “thou’s” to bring you an evening of off-the-cuff comedy using the language and themes of William Shakespeare. Nothing has been planned out, rehearsed or written; the night could reveal a tragedy, comedy or history. 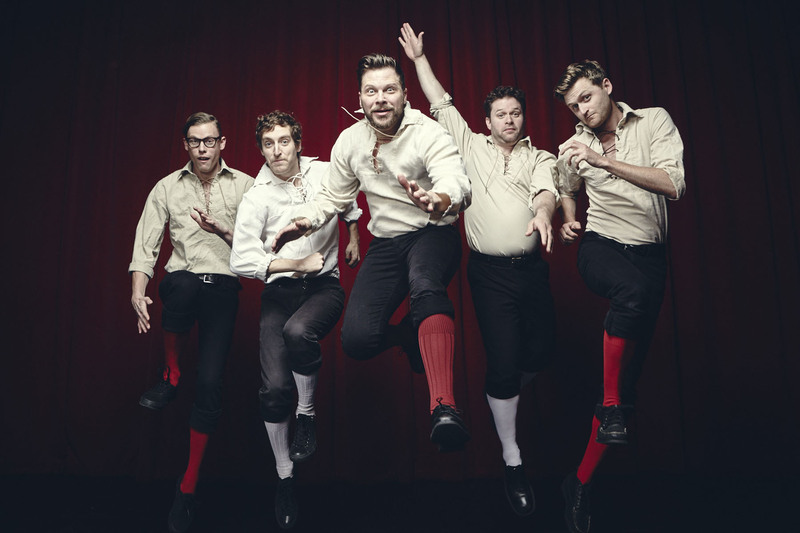 The Improvised Shakespeare Company has been performing its show to sold-out audiences in Chicago since 2005 and continues to entertain audiences across the U.S. with its national touring company including performances at Bonnaroo, Outside Lands, San Francisco Sketchfest, The Upright Citizens Brigade’s Del Close Marathon and the prestigious Just For Laughs festival in Montreal and Chicago. Catch Hunter Nelson and Terry Withers’ “David Mamet’s ‘The New David Mamet Play,’” Jan. 20, 9 p.m. Spoofing the works of Pulitzer Award winning playwright David Mamet, best known for “Glengarry Glen Ross,” comedians Hunter Nelson and Terry Withers present their hilarious improvised take on Mamet in “The New David Mamet Play.” Both Nelson and Withers are veteran performers and teachers at some of the most notable improv comedy institutions in the country, including the Upright Citizens Brigade Theatre, Magnet Theatre, Baltimore Improv Group & Reckless Theatre. “I’m personally very excited with the diverse lineup of improv at this year’s festival. From bringing in performers from around North America to being able to present theatrically-focused shows alongside improvised TV shows, musicals and more, this year’s festival is going to be a blast for performers and for those who may have never seen improv live before,” says ArtsQuest Marketing Director Jon Lunger. SteelStacks Improv Comedy Festival Friday tickets are $16 in advance and $19 day of show. Saturday tickets are $25 in advance and $29 day of show. Tickets are on sale now at www.steelstacks.org/comedy and 610-332-3378. 12:00 a.m. | Improv Jam! 2:00 a.m. | Closing Improv Jam!